Nordic Games has officially announced Darksiders: Warmastered Edition for current-gen consoles and PC. As expected it'll feature remastered visuals, clocking in at 1080p, with "doubled texture resolutions," rendering and show improvements, and post-processing effects. Here's the kicker though -- it'll be 60fps on PC, PS4, and Xbox One, but 30fps on Wii U. Yikes! As we all know, not every game needs to be 60fps (for instance, puzzle games), but frame-perfect action games with higher difficulty modes like Darksiders? 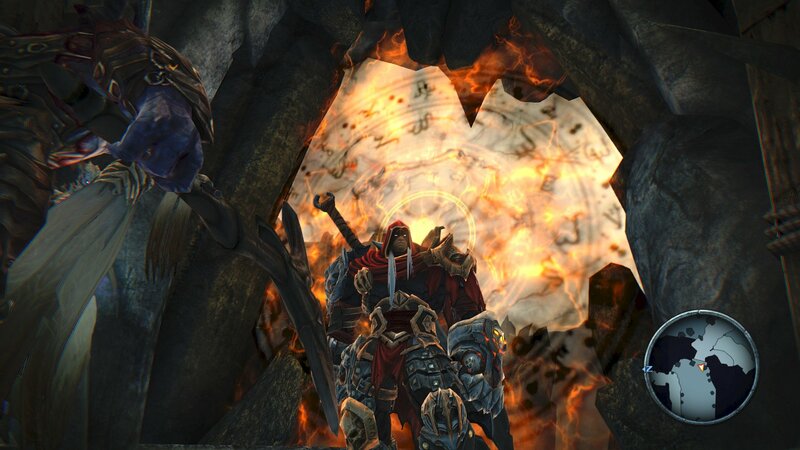 Yeah, it's nice to have, especially for the more agile Death in Darksiders 2. Darksiders was mass produced and is dirt cheap used on PS3 and Xbox 360 (this enhanced edition will be $20), so it'll be a tough sell for this remaster unless you're really into the series, but it sounds good on paper.